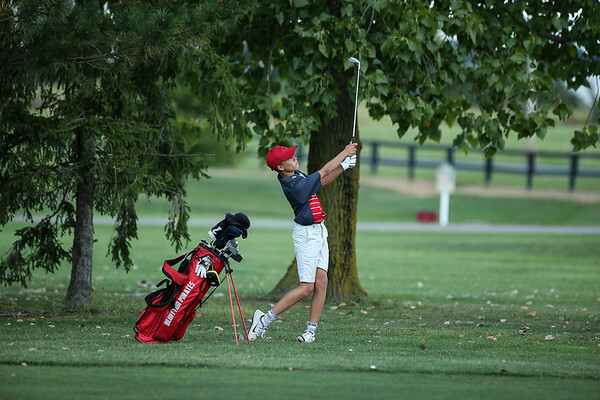 (DELPHOS) - Kenny Lovett shot 83 and Cole Koenig 84 leading Bluffton's boys golf team to a fourth place finish in the Northwest Conference Tournament held today at Auglaize Country Club. Spencerville won the tournament with a 315, Bluffton finished at 354. Rounding out the individual scores after Lovett and Koenig were Drew Wilson (90), Jared Piercefield (96), Micah Minnig (100) and Jordan Seifer (103). Koenig, a freshman, was named Second Team All Northwest Conference for his play both during the season and in today's tournament. Lovett, also a freshman, and Wilson, a senior, were named Honorable Mention NWC.